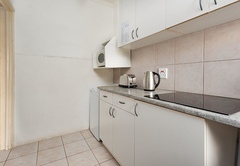 Westward 9 is a property providing self catering in Green Point for up to 3 guests visiting the Atlantic Seaboard region. 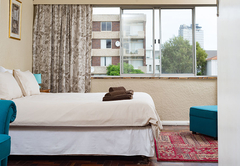 Situated in the heart of trendy Green Point Westward 9 accommodates two guests in a tastefully furnished bachelor apartment. 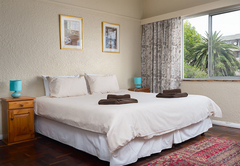 The self catering apartment has a living area furnished with a King-size (or two single) beds, a couch, chair and small dining table. 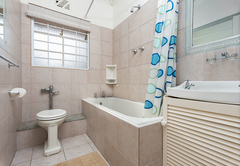 There is a separate bathroom with a bath / shower combo. 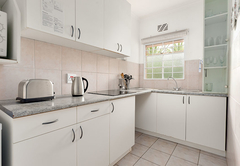 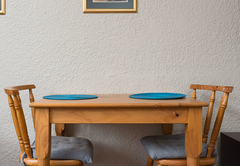 The kitchen is well equipped for self catering and includes all the basic appliances, crockery and cutlery. 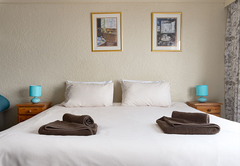 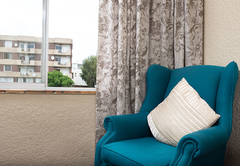 The apartment is within walking distance of the Victoria & Alfred Waterfront, Sea Point, De Waterkant Village as well as numerous restaurants, cafés and shops. 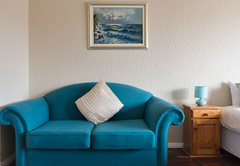 The living area is furnished with a King-size (or two single) beds, a couch, chair and small dining table. 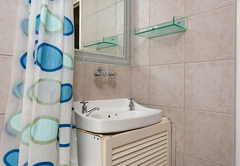 There is a separate bathroom with a bath / shower combo.